This American Guarantee and Liability Health Insurance Company review includes Zurich Insurance, which is its parent company. They do not have a direct website of their own. Begin the search for great health insurance rates where you live today by using our free online tool. To begin your personalized search now, just enter your zip code in the box above! 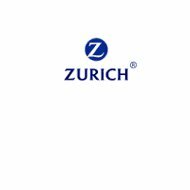 Zurich Insurance is a worldwide commercial insurance provider that offers multiple types of commercial and business insurance to many different commercial industries. The American Guarantee and Liability Insurance Company is just one of the many subsidiaries of the North American division of Zurich Insurance. The American Guarantee and Liability Insurance Company is licensed to provide insurance to all 50 states and the District of Columbia. Zurich American Insurance Company of Illinois. These subsidiaries do not only write insurance for the United States, but also for the official United States’ territories Puerto Rico, the U. S. Virgin Islands, and Guam. The entertainment industry includes film production and gaming. The hospitality industry includes golf clubs, country clubs, golf resorts, and golf management companies. The professional services industry includes agents and tour operators, lawyer’s professional liability, title agent errors and omissions, and veterinarian’s professional liability. The service enterprises industry includes moving and storage, party rental businesses, security guards, and tanning salons. American Guarantee and Liability and its parent company Zurich in North America does not offer personal lines of insurance, including personal health insurance, at this time. Use our free online tool now to see the best health insurance rates in your area. Enter your zip now!